FC PLATINUM coach Norman Mapeza is aware CAPS United have been one of the most difficult teams to beat in recent seasons and he is determined to change the script at Mandava on Saturday. Lloyd Chitembwe seems to have mastered the art of frustrating Mapeza’s charges and this showdown may not be an exception. And if FC Platinum drop points at Mandava while Ngezi Platinum win against Dynamos, the title race will take a new twist. “Football differs each and every season. We have not been getting some positive results. It is a different ball game and we know where we are standing at the moment. “I just hope the guys will play to the best of their abilities. And we might break the jinx,” Mapeza said yesterday. While FC Platinum are best known for patient build-ups from the back, CAPS United have many layers in their game and they normally resort to more pressing football against the champions. Mapeza says they will not change their approach. “(We will use) the same approach. We respect them as one of the clubs playing in the Premier League. “It is the same respect we give to Mutare City, the same respect we give to Ngezi Platinum and we know it is a massive game for us as a club,” he said. In their last game FC Platinum were held to a 1-1 draw by Yadah while CAPS United played a goalless draw against Bulawayo Chiefs. 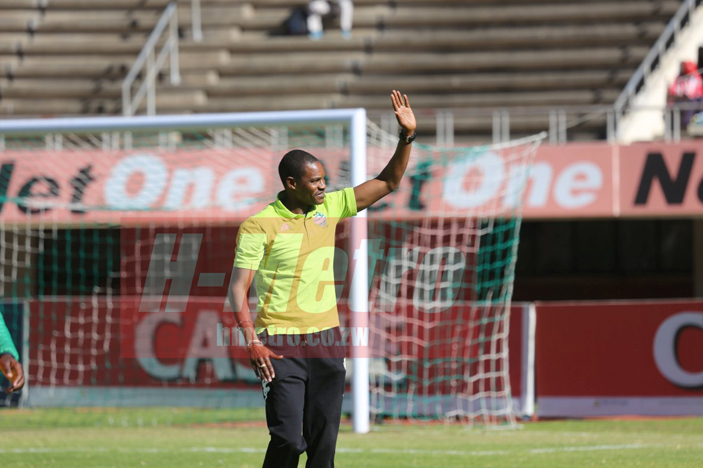 Mapeza said: “We need to go out there with a positive mind. We have not started the second half of the season to our liking as a club. But we just need to go there with a positive mind. “We just brought in Thomas Chideu to give us another dimension in terms of our attack. Like I said, second half of the season it is not going to be easy. Ngezi Platinum are only four points behind FC and Mapeza believes it is at this stage that his players must be counted. “It’s about mental strength, it’s about belief because everyone goes through this phase in football. “It is about mental strength at the end of the day despite what you can say to the guys. “We don’t have to think much about the points difference between us and the other clubs, the most important thing is that we have to just win our games,” he said. CAPS United have been fighting for consistency. “We don’t think about how many points do CAPS United have and how many points do Dynamos have. We just need to win our games. “We need to keep on winning our games and see what happens,” Mapeza said.